To create a beautiful, positive, inclusive and perhaps spiritual experience and tradition for anyone wishing to remember loved ones now passed. 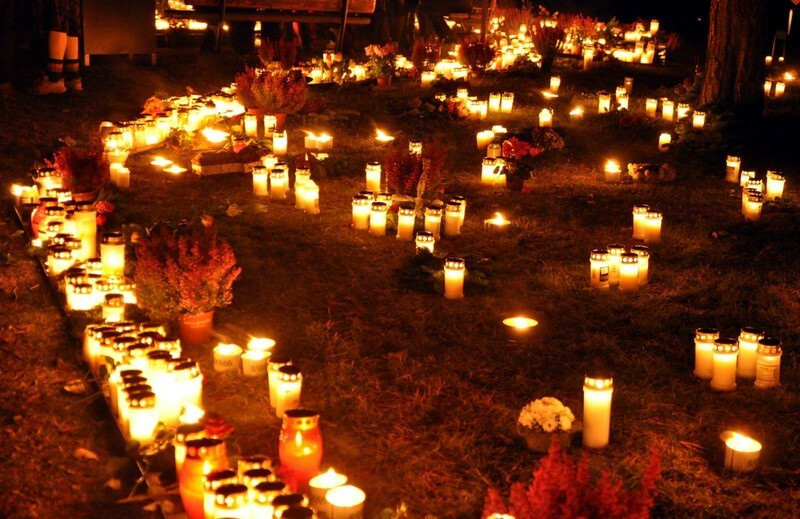 In many countries, people remember deceased loved ones by visiting cemeteries and graveyards and decorating them with candles and flowers, creating a truly unique atmosphere of peace and calm - such as All Saints Day, All Souls Day, Day of the Dead etc. We aim to host a memorable candlelit evening on Saturday, November 2nd 2019 by lighting the graveyard of St Paul's, Bedminster, with thousands of candles and flowers bought by us in advance and available to buy and light by anyone attending in remembrance of their loved ones. We hope to create a beautiful, positive, inclusive and perhaps spiritual experience for religious and non-religious people that we sincerely hope will leave them feeling at peace with themselves, their community and the world in general. Here is a short video of how this day looks and feels in Poland and in Sweden. We think this is a good idea. If you do too, please help us get it off the ground and in future years perhaps spread it to other parts of the city and country. We need a minimum of £5,000 to ensure the first such evening is successful (buying thousands of long burn candles and to set up stalls on the evening) and then to spread the word to other parts of the UK by recording the event beautifully (a professionally made video and photography) and then using social and traditional media channels ideally with professional support to help as many people in the UK find out about this wonderful tradition. We would also wish to provide some grant support to other groups wishing to do something similar in 2020. We are Bristol based and personally will receive no payment at all. I have experienced All Souls Day and All Saints Day in other countries and seen and read about Day of the Dead in Mexico. I think this is something the UK needs as an alternative to the commercial affair that Halloween has become and perhaps to promote wonderful ideas from other countries and cultures that have not yet quite caught on over here. Candles lit on your behalf or a variety of candle packs or vases - please see below. I'm George Grace, I live in Bristol and work in community-led regeneration (in particular town centres and high streets). The Vicar at St Paul's in Southville, Bedminster has kindly offered to be the pilot for our first Light the Night on 2nd November 2019. Thanks for your support. Please pledge now to get involved and share project with your network of friends and family. The project has already piqued the interest of bbc with organisers speaking on BBCBristol Radio and scheduled to appear on TV on BBC1’s PointsWest and in the South Bristol Voice. Sponsors logo and/or name will appear on all social and print media and acknowledged in press (where possible). As standard however the sponsor will be exlusive within their own sector. The project has already piqued the interest of bbc with organisers speaking on BBCBristol Radio and scheduled to appear on TV on BBC1’s PointsWest and in the South Bristol Voice. Sponsors logo and/or name will appear on all social and print media and acknowledged in press (where possible) and space for marketing literature. As above except the sponsor will be the exclusive sponsor of the entire project (excluding any existing sponsors). The project has already piqued the interest of bbc (Bristol Radio, BBC1 PointsWest) and the South Bristol Voice. Sponsors logo and/or name will appear on all social and print media and acknowledged in press where possible and a market stall provided on the evening inside St Pauls.